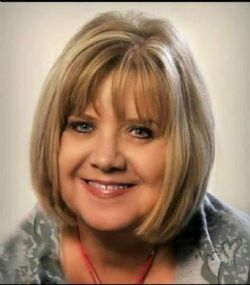 Jerri Lynn Fontenot, 61, of Greenville, died Saturday, January 26, 2019 at Hunt Regional Medical Center. Her memorial service will be held 11:00 AM, Saturday, February 2, 2019 in Coker-Mathews Funeral Home Chapel. Mrs. Fontenot was born in Dallas, Texas on May 14, 1957. She was the daughter of Kenneth Miller and Martha White. She married Hurley J. Fontenot, Jr. on May 2, 2016 in Las Vegas, Nevada. Survivors include her husband, Hurley J. Fontenot, Jr.; mother, Martha Clark; daughters, Angela Norris and husband Joey, Mikki Blunt and husband Eric and Misty McGuire Evans; brother, Blake Miller; sister, Janlyn Therwhanger; and granddaughter, Harlynn Blunt. She was preceded in death by her father.